YouTube can be more than just a place to unwind while watching cat videos or listening to independent music artists. 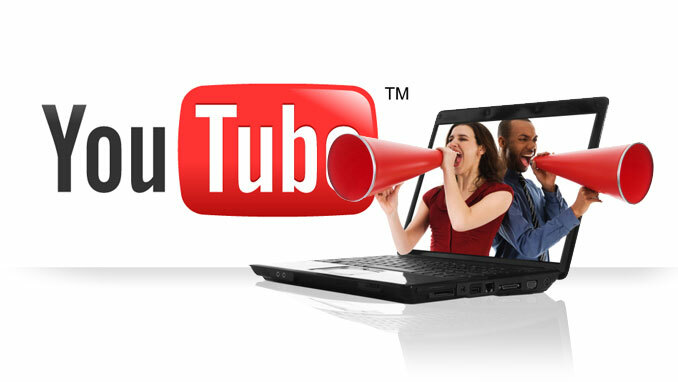 According to YouTube, over 6 billion hours of video are watched each month. It can be an incredible platform to enhance your eCommerce site while increasing visibility. By using this platform, you can offer visitors a visual demonstration for your product increasing the likelihood of sales. How do you capitalize on this ever-growing platform? Some businesses have a bit of success when using nature scenery within the video. Amazing locations and unique visions of what the Earth has to offer can make an impact on viewership. For instance, exotic locations could be used as an excellent backdrop. According to Ute Sonnenberg for Roho Ya Chui, the visas used to visit Zimbabwe and Zambia have merged. You can now use a uni-visa to visit these locales making these trips cheaper overall. While an African safari may be a bit more extravagant for some products, can you imagine the impact a video could make while demonstrating various goods at Victoria Falls? When starting out, you don’t need to have a high-quality camera to take video. As most smartphones and tablets have sufficient recording capability, this is the best place to start – if you have one of these. Keep the video short and to the point. Provide as much detail about the item in question, and don’t use too much filler. Short videos can make all the difference in viewer retention. Once you’re satisfied with the video, it’s time to upload it to YouTube. When uploading the video, include as many details about the product and video content as possible. Tags, descriptions and other settings need to be filled out in full if you want to maximize its capabilities. Include the link to the item in the description of the video to help viewers find it on your eCommerce site. Once all of the information for the video has been entered, don’t forget to monetize. Since you are most likely not using copyrighted material such as music, you could make a few dollars in ad revenue from YouTube itself. However, the video has to experience a great deal of traffic before you’ll make any real money. It’s a free service with potential to make money, so you might as well. Here is where adding video to your product is the most difficult. Once your video is uploaded and ready for viewing, you can copy the “Embed” code and place it directly into your eCommerce pages. The embed code can be found when viewing the video itself. From this selection, you’re able to modify dimensions of the video to make it fit perfectly on your site. When the settings are to your liking, copy the code that is provided for you. In most eCommerce solutions, there is an editor for adding HTML and other code for specific product pages. Some may even allow code directly into the product’s description area. Paste the YouTube generated code into the HTML editor. This can be centered or justified left or right depending on your personal preferences. Once added, the video will play just as it would from the social site. Now that your video is on YouTube, you can then share it on various social media sites while visitors could watch the material that may not have known your eCommerce store existed. It can help you attract additional attention while giving you an additional marketing platform for your business. Develop an interactive shopping experience for your customers and reap the benefits.